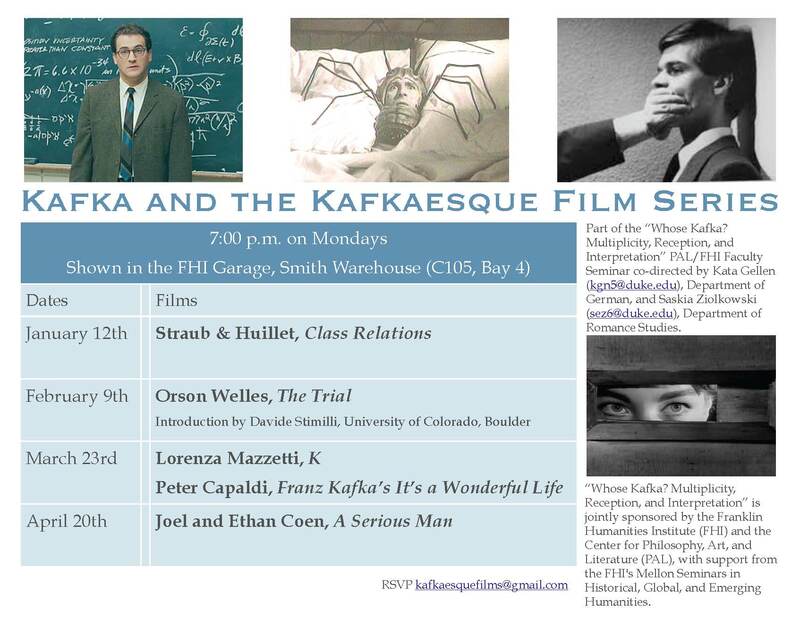 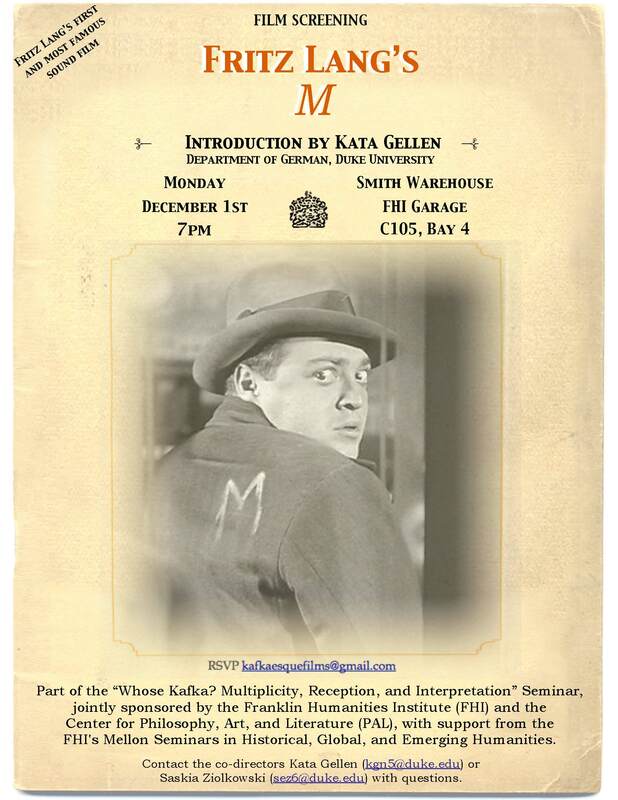 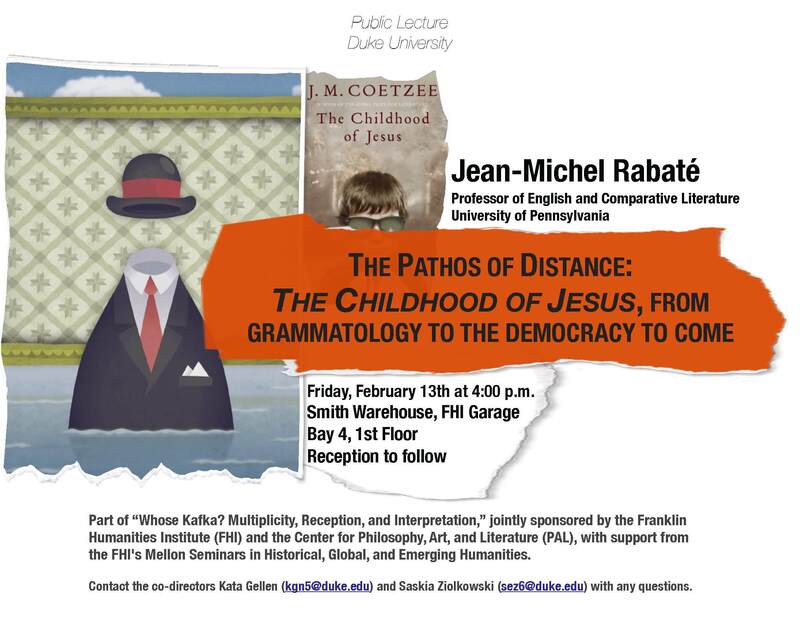 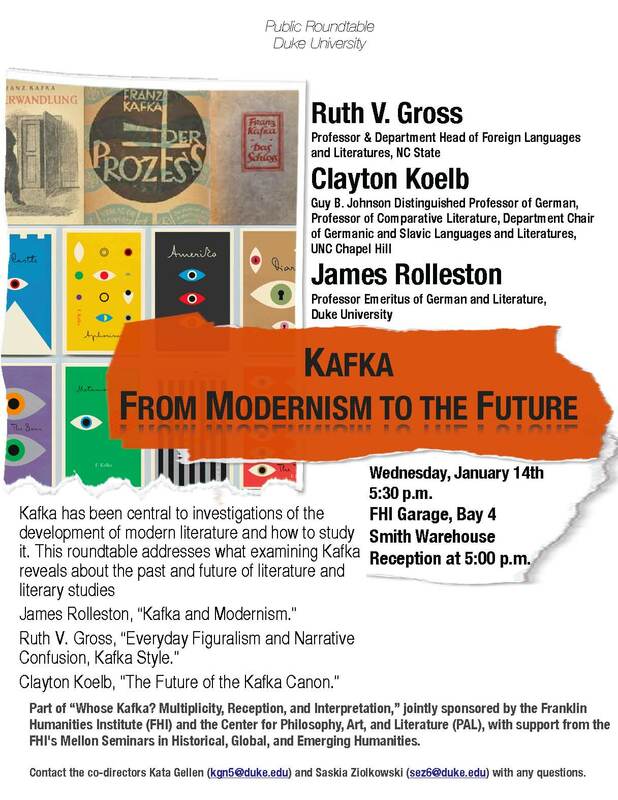 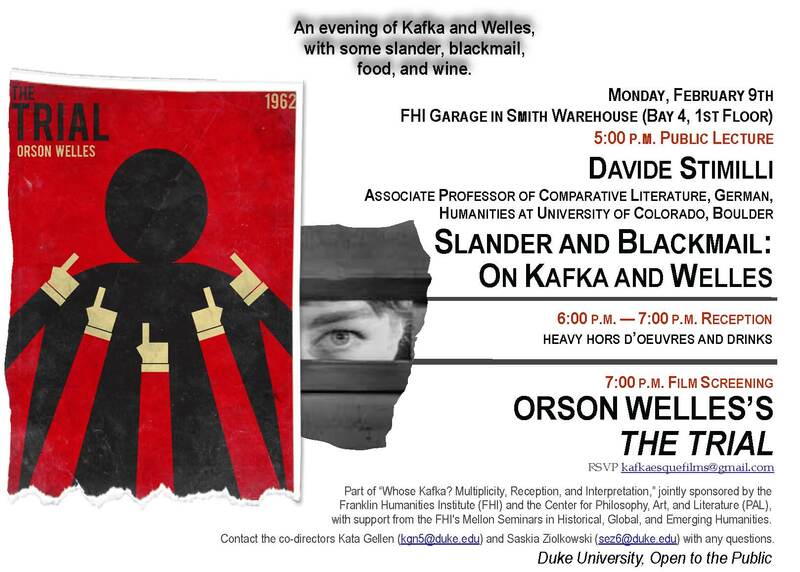 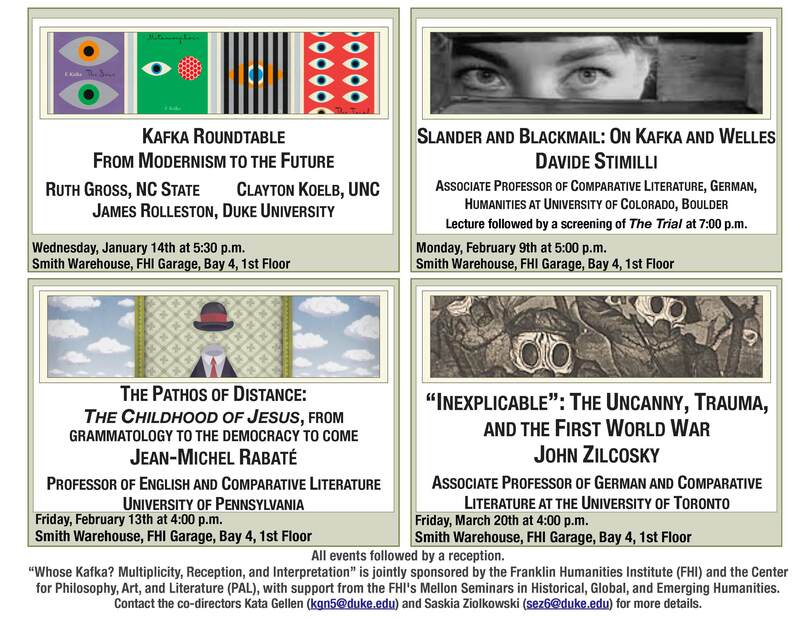 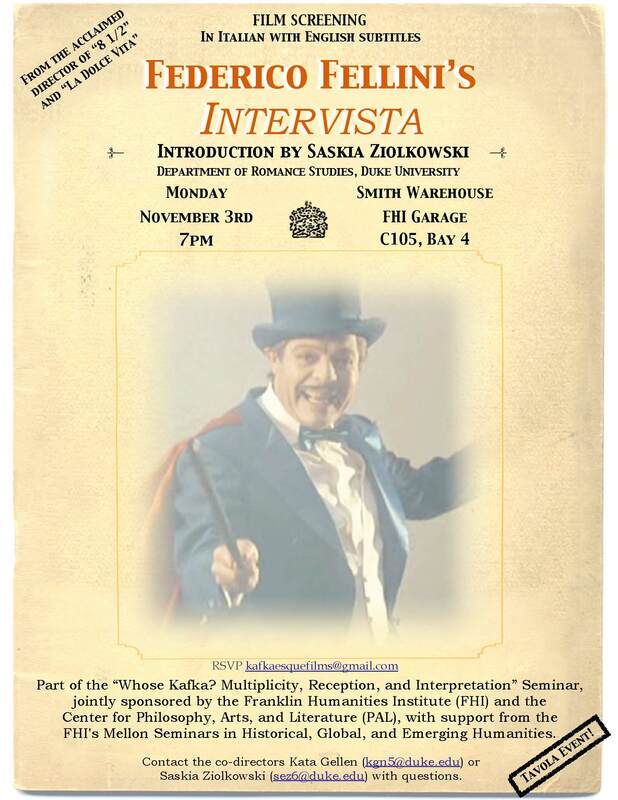 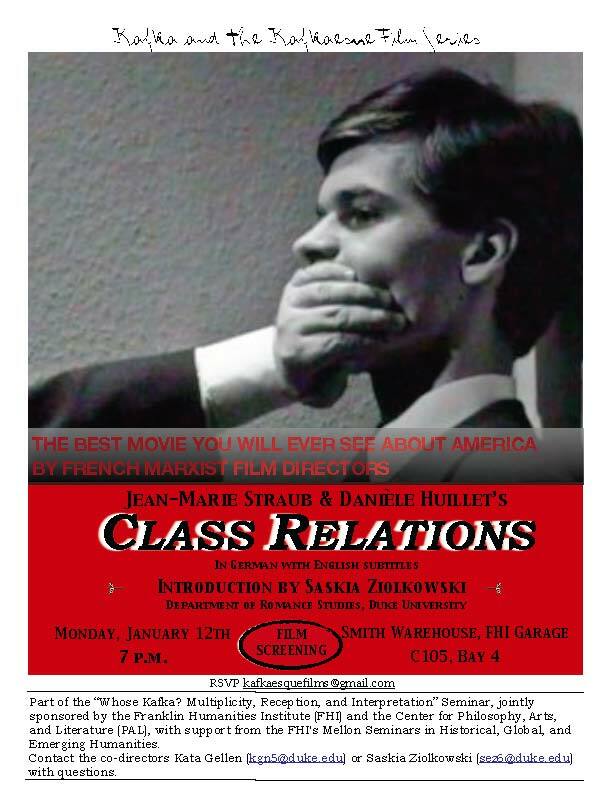 Kata Gellen and I are co-directing a PAL (Center for Philosophy, Arts, and Literature)/FHI (Franklin Humanities Center) Mellon Faculty Seminar in 2014-2015 called “Whose Kafka? 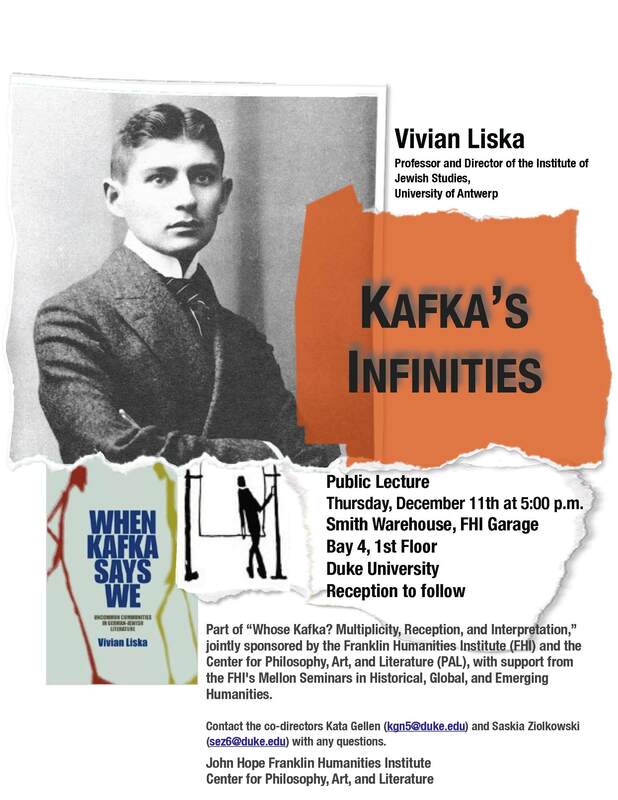 Multiplicity, Reception, and Interpretation,” which explores a range of Kafka’s categorizations in order to discuss both Kafka’s own work, as well as what interpretations of his work reveal about the readers and their cultural, historical, and political contexts. 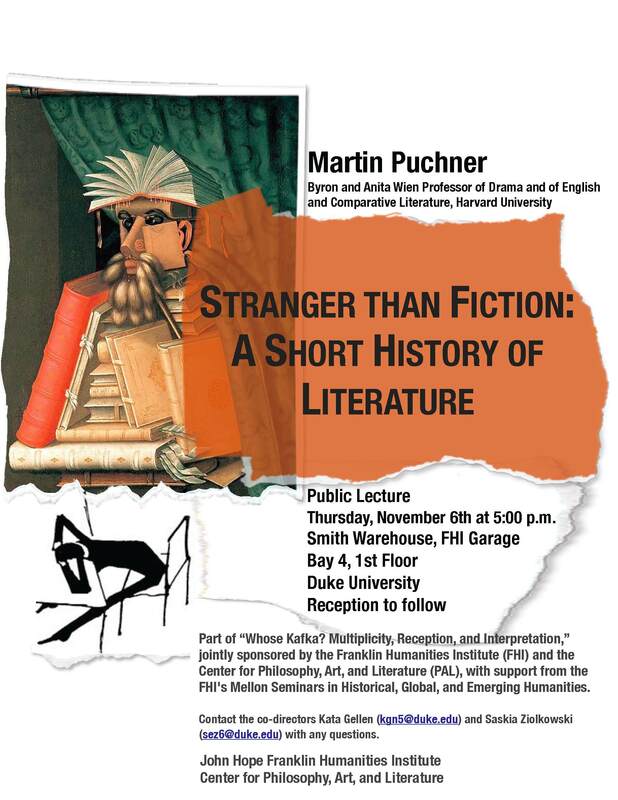 Martin Puchner’s “Stranger than Fiction: A Short History of Literature” — Thursday at 5:00 p.m.